Twitter allows millions of social media fans to comment in 140 characters or less on just about anything: an actor’s outlandish behavior, an earthquake’s tragic toll or the great taste of a grilled cheese sandwich. Mark Dredze and Michael J. Paul fed 2 billion public tweets posted between May 2009 and October 2010 into computers, then used software to filter out the 1.5 million messages that referred to health matters. Identities of the tweeters were not collected by Dredze, a researcher at the university’s Human Language Technology Center of Excellence and an assistant research professor of computer science, and Paul, a doctoral student. 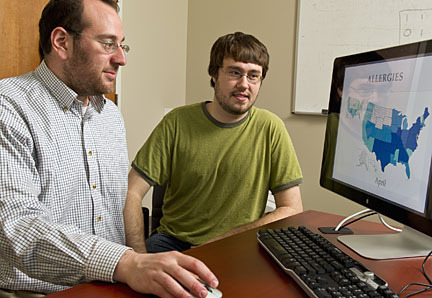 Dredze and Paul, who also are affiliated with the university’s Center for Language and Speech Processing, have discussed some of their results in recent months at computer science conferences. They will present their complete study on July 18 in Barcelona, Spain, at the International Conference on Weblogs and Social Media, sponsored by the Association for the Advancement of Artificial Intelligence. Of course, the vast majority of daily tweets have nothing to do with an illness. While a simple approach would be to filter for words that are tied to illness, such as “headache” or “fever,” this strategy fails on such tweets as “High price of gas is a headache for my business” or “Got a case of Bieber Fever. Love his new song.” To find the health-related posts among the billions of messages in their original pool, the Johns Hopkins researchers applied a filtering and categorization system they devised. With this tool, computers can be taught to disregard phrases that do not really relate to one’s health, even though they contain a word commonly used in a health context. In about 200,000 of the health-related tweets, the researchers were able to draw on user-provided public information to identify the geographic state from which the message was sent. That allowed them to track some trends by time and place, such as when the allergy and flu seasons peaked in various parts of the country. “We were able to see from the tweets that the allergy season started earlier in the warmer states and later in the Midwest and the Northeast,” Dredze said. 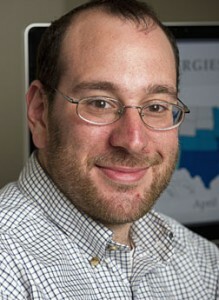 Dredze and Paul have already begun talking to public health scientists, including some affiliated with Johns Hopkins, who say that future studies of tweets could uncover even more useful data, not only about posters’ medical problems but also about public perceptions concerning illnesses, medications and other health issues. 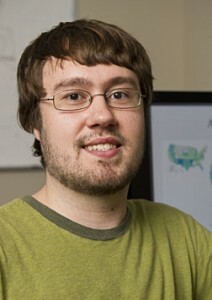 Still, Dredze and Paul cautioned that trying to take the nation’s temperature by analyzing tweets has its limitations. For one thing, most Twitter users did not comment more than once on their particular ailment, making it tough to track how long the illness lasted and whether it recurred. In addition, most Twitter users tend to be young, which would exclude many senior citizens from a public health study. Also, at the moment, Twitter is dominated by users who are in the United States, making it less useful for research in other countries.